On Thursday, Mar. 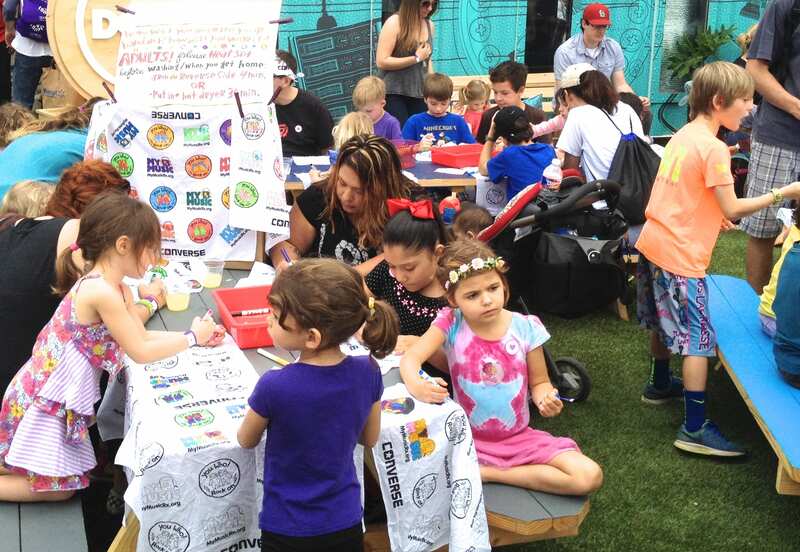 17, you can take the kids to rock out from 10 a.m. – 12 p.m. with lots of great bands and kid-focused fun at the 4th Annual MyMusicRx YOU WHO Rock Show for Kids at The FADER FORT This event will benefit MyMusicRx, the only “kid-prescribed” in-hospital and online music medicine program in the nation. One hundred percent of proceeds will help fund MyMusicRx’s bedside and online programs that deliver the healing power of music to seriously ill kids and teens. –> Music & Activities: The music line-up includes Thao and the Get Down Stay Down, Cody Chesnutt, Pure Bathing Culture, and Onry Ozzborn with additional artists to be announced. They’ll have a pre-show art zone, and giant owl mascots to welcome the kids, too. Advance tickets are $20 which you can purchase online here. Tickets at the door are $25. Kids 10 and under are FREE. (*Please note, children age 10 and under are FREE but still require a $0 ticket.) For an additional $5, you can get access to a delicious breakfast burrito bar. The Fader Fort is an outdoor venue located at 1101 E 5th (San Marcos & Waller) Austin, TX 78702. 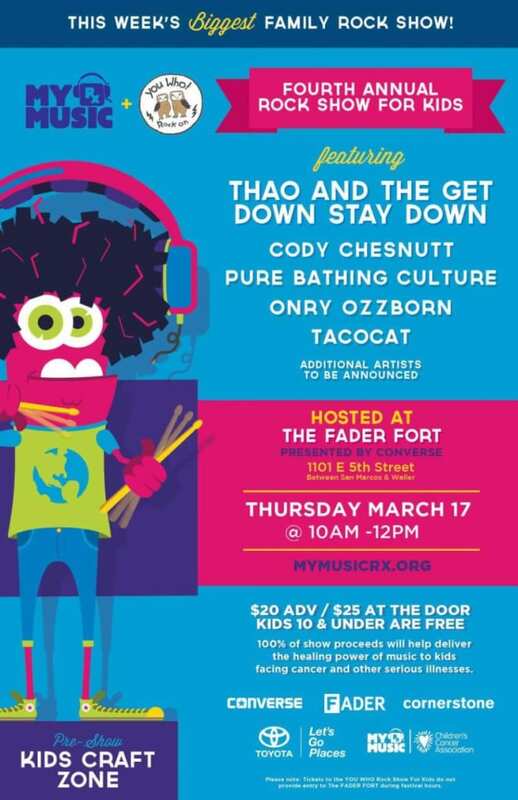 Note that tickets purchased for the YOU WHO Rock Show For Kids do not admit access to other FADER FORT activities. We have a 4-pack of tickets to give away to this event. Enter below. Good luck! *Entering the giveaway will add you to the Do512 Family email list, where we let you know about the best Austin family events each week.